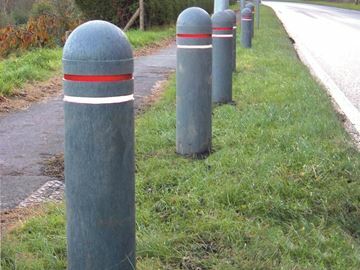 Bollards are ideal for marking out paths, parking areas or restricting access width. They also help to reduce the cost of restoring verges by blocking and directing traffic. 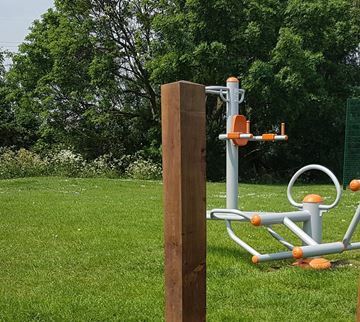 Our geViews range of bollards are made in the UK from either gecoPlas 100% recycled plastic or hardwood timber. 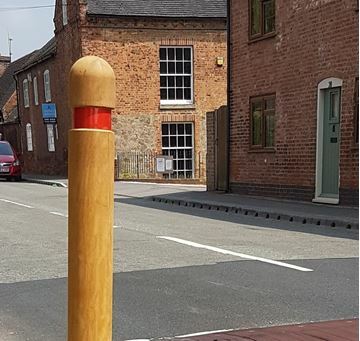 Our range of wooden bollards set the standard for combining good looks and low maintenance. Hardwood timber needs little ongoing care compared to softwood. It is a naturally strong material and stays strong through the tough UK winters. 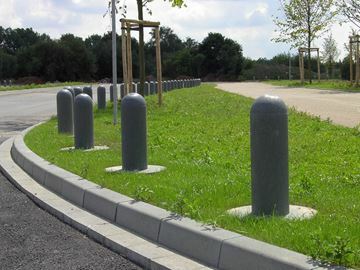 Our gecoPlas recycled plastic bollards are the ideal choice for durability. We offer three different diameters based on your needs, from 140mm to 200mm. 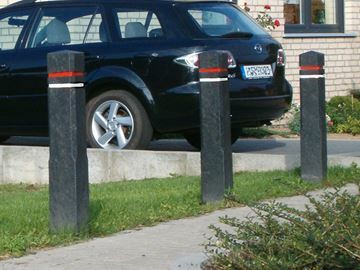 These gecoPlas bollards last five times longer than softwood bollards and need no yearly treatment or maintenance. 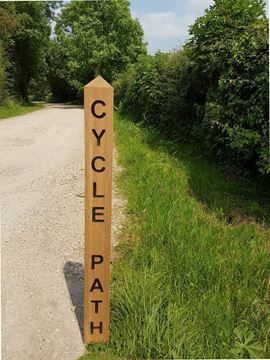 We also manufacture Waymarkers, which are a cost effective and efficient way to give directions from the beginning to end of any trail or footpath. gecoPlas recycled plastic bollard with a 200mm diameter. Attractive hardwood bollard with domed top. gecoPlas recycled plastic bollard at an economical price. Attractive hardwood bollard with pointed top. gecoPlas recycled plastic bollard with optional reflective tape. Parish waymarkers with custom letters of your choice.